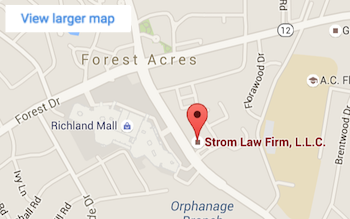 You are here: Home / Strom Law Firm, L.L.C. Blog / Concussions: Is Dizziness the Most Important Sign? Concussions: Is Dizziness the Most Important Sign? Surprising findings from a concussion study out of the University of Pittsburgh: dizziness is the only symptom that can predict whether an athlete will take a long time to recover after receiving a traumatic brain injury. Those who are dizzy at the time of the injury are six times as likely to have a protracted recovery period than those who do not. Surprisingly, no other symptom in the list of 22 concussion signs predicted length of recovery at all. Although they are often the focus of tests for players after they are pulled from the field with a head injury, neither amnesia or imbalance were significant risk factors. Dr. Brian Lau says that these results should be taken cautiously as previous research has shown amnesia and imbalance as “predictors of poor concussion outcomes”, but clearly dizziness is an important part of the concussion diagnosis process. If dizziness predicts the recovery time so significantly, doctors and sports teams may need to focus on creating new, dizziness focuses field tests for athletes who have been injured. The study used male high school football players from Pennsylvania who had received a concussion while playing games from 2002-2006. Sports medicine staff observed and recorded symptoms on the field. It is difficult to say whether the results can be generalized to women, older athletes, all sports, or injuries outside of sports. Like many studies, it is difficult to get an accurate count of previous head injuries athletes may have suffered. It is surprising, with the focus of so many news stories being memory loss, that amnesia is not a major predictor of recovery time. People are attached to memory making and so rarely experience extreme memory loss that it seems like it must be the most severe indicator of damage, but it appears that the more banal symptoms may be just as, if not more, important.